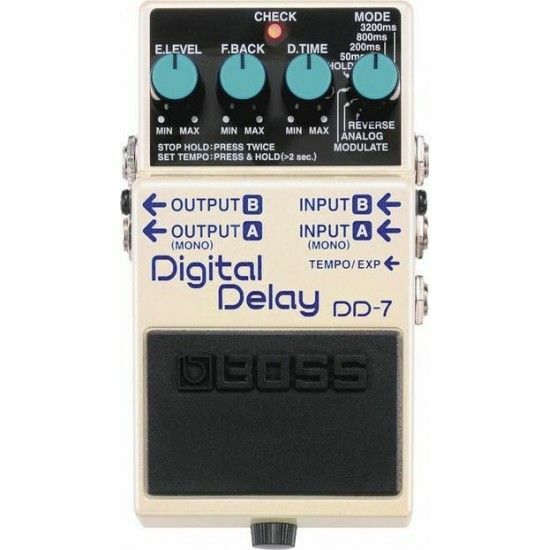 BOSS DD-7 Digital Delay, a guitar effects pedal that takes the best features from its predecessors and expands their creative potential. You get Modulation Delay mode, classic modeled Analog Delay mode, External pedal control options, longer delay time, and more. 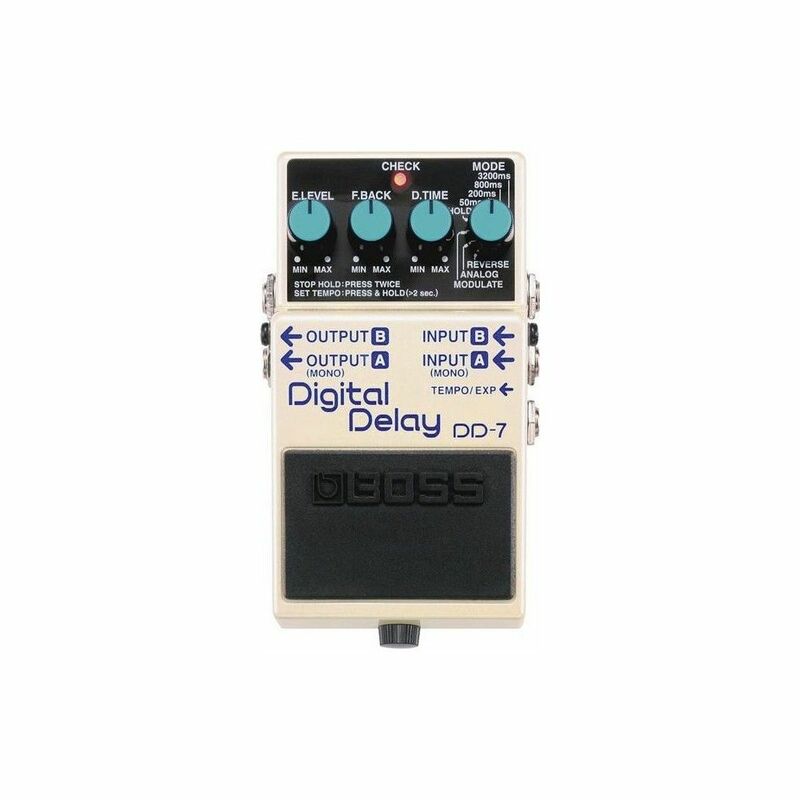 Even with the best-selling delays in compact-pedal history, BOSS continues to push the envelope and innovate. 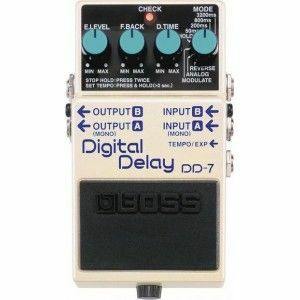 Up to 6.4 seconds of delay time is available with the DD-7, a marked increase from its predecessor. In addition, Hold mode allows up to 40 seconds of input to be recorded for creating "sound on sound" performances. Create amazing effects with the BOSS DD-7 pedal's stereo output, such as spatial audio sweeps via true stereo panning. You can also use the stereo outputs to create separate dry and wet signal paths - handy for recording and live-performance control. Up to 40 seconds of recording for sound on sound (Hold mode).